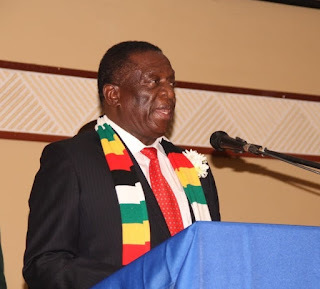 A section of the ruling party is gingerly pushing for President Emmerson Mnangagwa to rule Zimbabwe for life to spite ambitious cadres within his party who are burning the midnight oil, plotting against him, the Daily News can report. This would necessitate an amendment of the supreme law to strike off provisions that restrict the Head of State to serve for a maximum of two five-year terms. While Mnangagwa has been quoted previously saying he will run for a second term but will not seek a third term, his allies want him to see through his vision of transforming Zimbabwe into a middle-income country by 2030. Last month, Vice President Constantino Chiwenga let the cat out of the bag when he declared that Mnangagwa was chosen by God to lead Zimbabwe until when he decides to step down. Addressing party faithful at Murombedzi Growth Point in Mashonaland West on November 24, Chiwenga said no one should even consider leading the southern African nation while Mnangagwa was still alive. “Because we won two thirds majority in Parliament and have the President in our party, we can change the laws as we see fit so that the country develops. “Whether you are in the opposition parties or not, what we are saying is Mnangagwa will remain in his current position because he has been anointed by God. He is the chosen one. is not going to happen. All those who were making noise about becoming presidents recently should remain silent and not utter a word,” he said in remarks that were targeted at MDC leader Nelson Chamisa who gave Mnangagwa a good run for his money at the July 30 polls. Immediately after the polls, the Zanu PF Youth League started canvassing for the endorsement of Mnangagwa as the ruling party candidate in the 2018 elections while shutting doors on possible challengers within the party. Not to be outdone, the Zimbabwe National Liberation War Veterans Association has proposed a controversial constitutional amendment of the presidential age limit to block Chamisa from participating in both the 2023 and 2028 elections. The country’s current Constitution allows anyone from the age of 40 years upwards to contest the presidential plebiscite, but war vets want to revise the law and set the entry age limit at 52 years. Chamisa, who narrowly lost to Mnangagwa in the hotly-disputed July 30 polls, turns 41 in February next year — meaning that he would not be eligible to contest the 2023 and 2018 polls if the proposal by the war veterans is adopted. Outspoken Zanu PF legislator for Buhera South, Joseph Chinotimba had made a similar proposal last August — although then, he wanted the Constitution to disqualify presidential candidates below the age of 55. Chinotimba was backed a few weeks later by Zanu PF politburo member Lovemore Matuke, who said the ruling party would use its parliamentary majority to revise the age limit upwards and block Chamisa in the next two elections because he was allegedly “immature”. Promulgated some five years ago, the Constitution was amended for the first time last year to enable the president to handpick a Chief Justice and the Judge President of the High Court. As Justice minister at the time, Mnangagwa had pushed with verve for the amendment. Last month, he also told the same rally addressed by Chiwenga that with a two-thirds majority in Parliament, Zanu PF “can pass any law we want in Parliament”. Analysts warned yesterday that any attempts to change the Constitution would do more harm than good to Mnangagwa’s administration in its efforts to re-engage the international community. They also doubted if mandarins in Zanu PF were serious about Mnangagwa’s life presidency considering how they turned against Mugabe despite having lulled the despot into a false sense of security with their “Mugabe chete chete” “Mugabe alone” slogan. Pigou said the Constitution is clear on presidential terms and an attempt to change that would be counterproductive in terms of reform and reengagement efforts. Analyst Gladys Hlatywayo said the fact that Chiwenga saw it necessary to publicly address that matter is indicative of the state of affairs internally. “It shows you there is no cohesion in the ruling party and the vice president has been forced to respond to allegations that he intends to take over. “My reading is that it was a publicity stunt than a genuine expression of support. Remember we had . . . Mnangagwa going around the country and telling people that former . . . Mugabe was going to rule forever? What then happened in November 2017?” Hlatywayo pondered. Crisis Coalition spokesperson Tabani Moyo said Mugabe was told he was safe until he was dethroned. “This is an exhibition of epic factionalism which will only end in most cases in a messy way. That there are two factions in Zanu PF, one in support of the President and the other by the VP is no longer a secret. It is even more dangerous when there is a false sense of loyalty which is underpinned by excessive plotting underground,” said Moyo.